Now that the Arkea thing is taken care of the team is trying to ask itself if it wants to be a team. Why? The X-Men have always had teams, some members on multiple teams, and it’s always been because either they all work well together, or out of necessity. I honestly can’t remember the last time they all sat around and debated forming a team. It either just happened or was declared without question. So why is Wood making these girls debate it? Either the team works or it doesn’t and they move on. I’m all for mixing it up, doing something different, but here it just falls flat. Then you top that with the fact that the issue was cut short because they decided to run two stories at once? What? Literally, there was all this boasting about this title being an all-female team and how awesome that is and progressive, etc… then they decide to cut several pages and give it to an all male team? 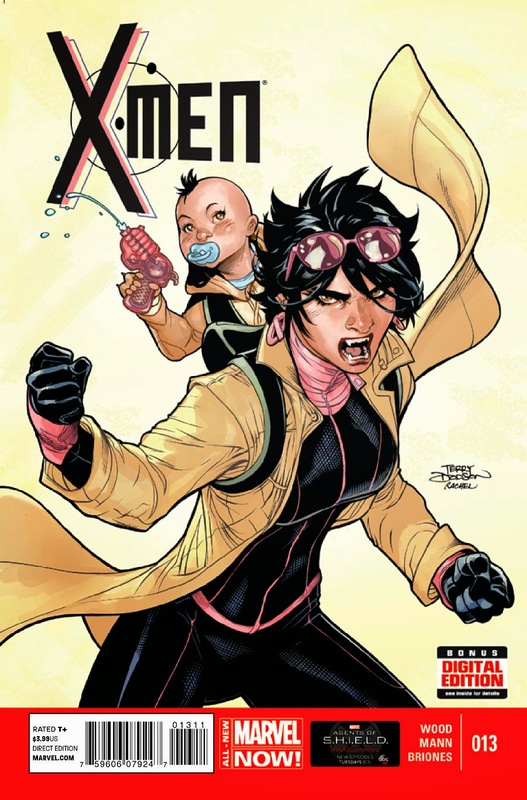 Now, I like the characters they picked, I wouldn’t mind seeing a story with them… but maybe in Wolverine and the X-Men which is more geared towards having a group of young students and all that. Here, it’s literally a moment of ‘what are you trying to say?’ and it’s nothing good. You know, I don’t know a lot about comic!Maria Hill, but I”m pretty sure she wouldn’t have the hots for Cyclops. And if Cyclop’s team is powerful enough to take out the staff of the hellicarrier like that, or at least get into their heads, then why don’t they just pwn SHIELD and be done with this? 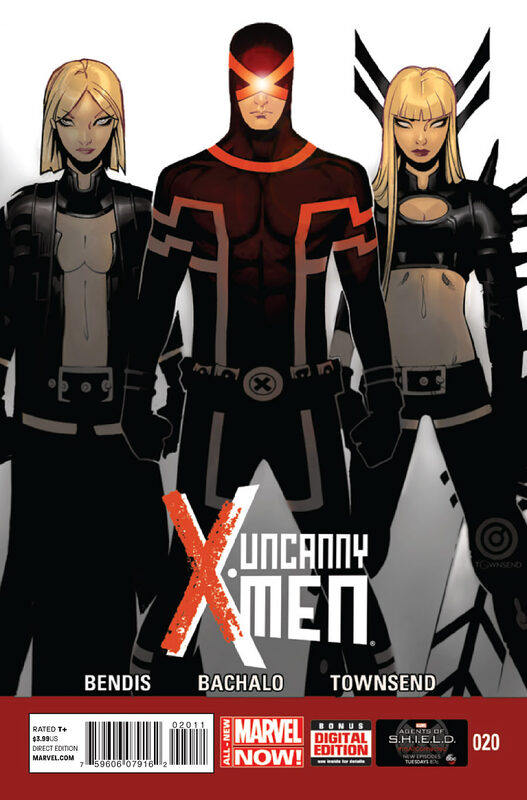 I’m sure all the stupidity with Bond and his being kicked out is either a master plan by Cyclops (the least likely because this would show forward thinking) or a way to turn one of the new mutants into a villain (the most likely as the shear level of stupidity is about right for how much Bendis actually cares).